Many women don’t realize that the key to a beautiful glow is not makeup, but great skincare. 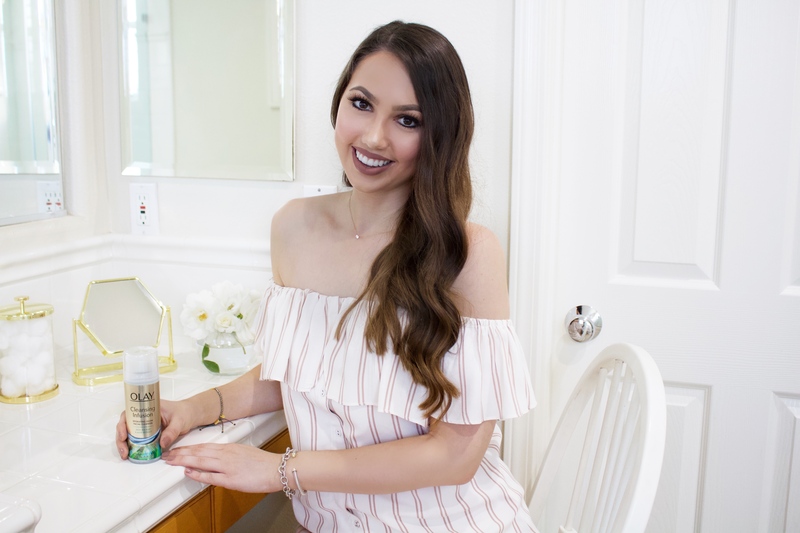 Recently, I’ve switched up my morning skincare routine and so far I am loving the results. Each morning I begin by applying the Cleansing Infusion Facial Cleanser. When using the cleanser, I first wet my face and then thoroughly massage it onto my face. Since this cleanser lathers so well, I only need a small amount to cleanse my entire face. After rinsing it off, I’ve found that the creamy lather leaves my skin feeling both softer and smoother. Additionally, my skin feels refreshed, which makes me feel ready to start my day. What’s even better is that it leaves my skin with a beautiful glow. 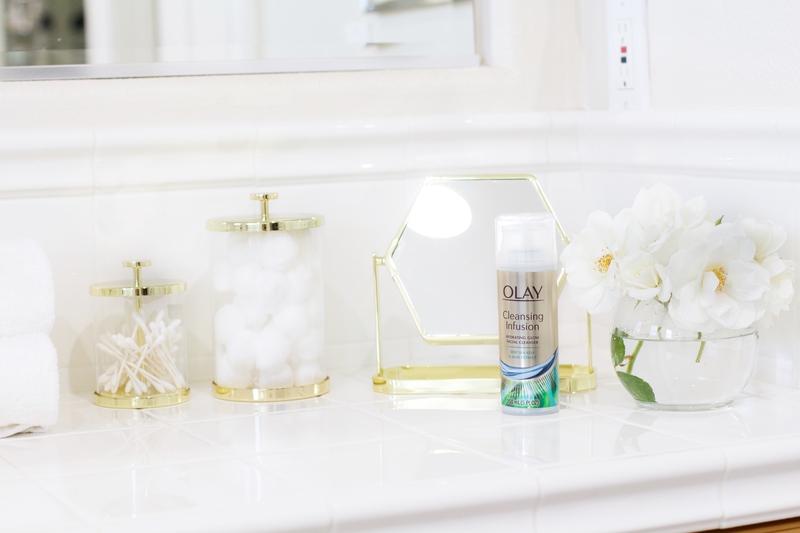 Besides making my skin feel great, the Olay Cleansing Infusion Facial Cleanser works to improve the skin’s condition as you wash. The hydrating formula, which includes deep sea kelp and aloe extract, draws out impurities and draws in hydration. As a result, the cleanser not only cleans the skin, but gives you naturally glowing skin. After using the product, I’ve noticed a visible difference in my skin. It is left looking dewy and refreshed — exactly what I like for summer. Additionally, since the cleanser features a non-stripping formula, it can be used daily on all skin types. Having sensitive skin myself, this is always one of the top qualities I look for in any skincare product. One other thing that I love about this product is that I can use it both in the morning and evening. While in the morning I use it to refresh my skin, in the evening I use it to help remove excess makeup that my makeup wipes can’t pick up. Honestly, I’ve really been enjoying this product and plan to continue to use it all summer long. That way I keep my glow on all season without subjecting my face to the sun! 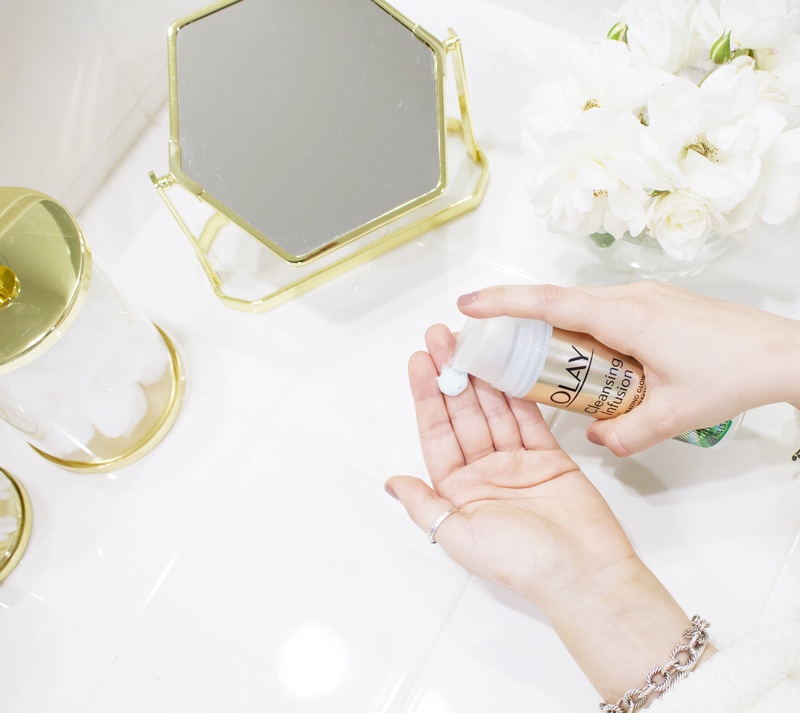 If you’re looking to try the Olay Cleansing Infusion Facial Cleanser with Deep Sea Kelpto get your glow on like me, Olay has made it super easy. Just look for the GOLD cleanser on the skincare aisle during your next shopping trip! I truly believe it is a facial cleanser worth trying out!